My wife and I spent a birthday weekend for her up in the Spa Country in early January, and I was permitted to take a radio, if we got time to use it. I took the Buddistick and FT-857D, although I still had the linked dipole in the car from the New Years’ shenanigans. We arrived in Maldon early in the morning, to discover shops closed. 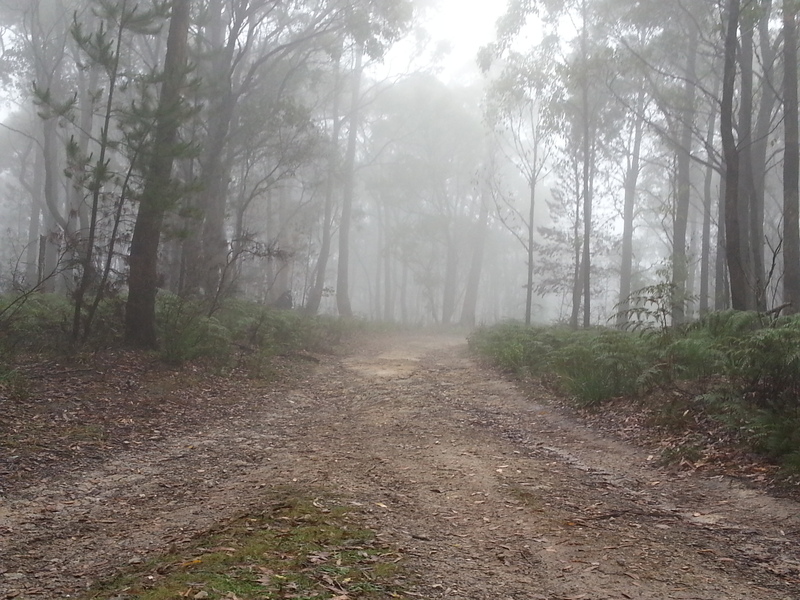 This was perfect, as I headed up to Mt Tarrengower (VK3/VN-023) to kill some time. I used the Buddistick, but had trouble getting it to tune, due to height off ground, and the fact I was well within the nearfield. I got a signal out, qualified the summit, grabbed S2S contacts with Ian VK1DI and Andrew VK1NAM, and packed up quickly. It was store opening time. The radio stayed in the car for the rest of the weekend until Sunday lunch, when, near Daylesford, I was able to convince my wife a quick activation of VK3/VC-032 was in order. The trip in was strange, as the weather was rainy and blustery. Very un-January like. 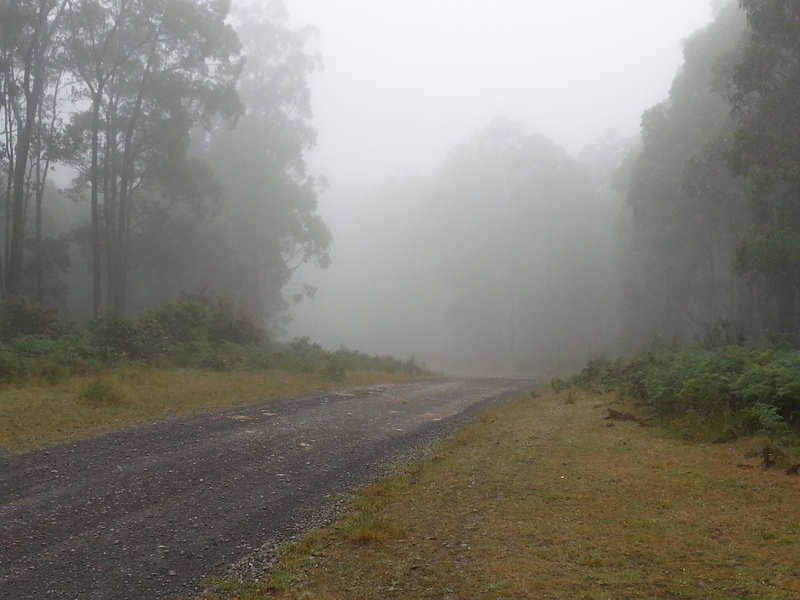 The cloud base was about 800m, lower than the summit height, and we were in fog the whole journey. We took it slow to avoid wildlife. I set up in my usual location, and made 7 QSOs in total, with no S2S. 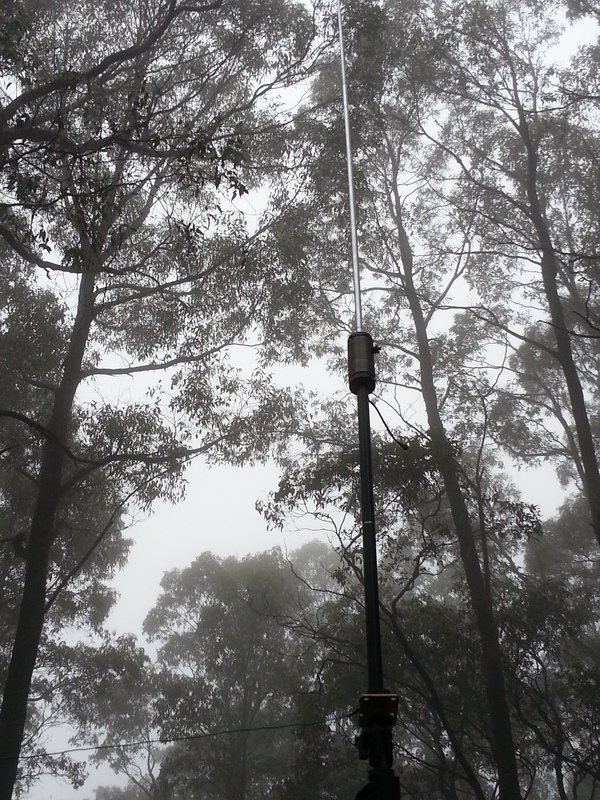 The highlight was a ground wave contact with VK3JAP who was portable on his trailbike in the Wombat State Forest nearby. I gave him a run down on SOTA and he seemed interested. Maybe a new activator in the future. We headed back into Daylesford and headed home after that, with the sun finally coming out as we reached home. Hi Andrew, great photos of a splendid part of the country.